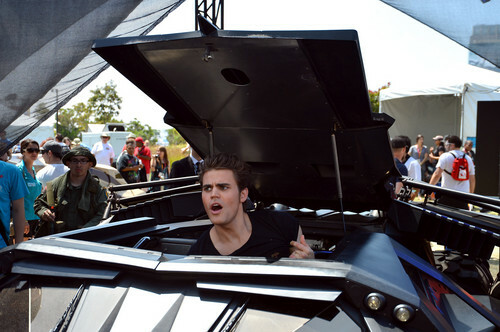 Paul at Comic Con (July 14th, 2012). paul wesley at Comic Con (July 14th, 2012). HD Wallpaper and background images in the paul wesley club tagged: paul wesley talented handsome events comic con 2012. This paul wesley photo might contain automóvil, coche, suv, camión, auto, and carro.